Editor Note- This post is the second post written by a MattsBats.com kid correspondent. I created this program to allow kids interested in sportswriting learn from the experiences I gained by starting Matt’s Bats. This is an opportunity for them to gain writing experience and show off their impressive work. If you, your child, a family member, or anyone you know may be interested, feel free to e-mail me at correspondents@mattsbats.com. Today’s post comes from Ben B-P of Maryland! He is in sixth grade, and is a HUGE baseball fan who loves the Washington Nationals. He loves playing all sports but especially enjoys baseball and soccer. You were only 17 when you signed a contract with the Nationals in 2010. I was just 4 years old then, discovering baseball and becoming a Nationals fan. I was learning math by learning the stats of players. I was curious to learn about players and understand the stats. I remember your first game with the Nationals against the Los Angeles Dodgers on April 28, 2012 when you were just 19. You played amazing and your first hit was a double. You also had an RBI that game. I was 6 years old, and I remember yelling #Natitude all the time. Since 2012, there have been so many exhilarating moments watching you play. I was at Nationals Park on Opening Day in 2013 when you hit two home runs. I was sitting in the left field stands screaming for you. Every winter, I went to Nats Winterfest and would try to find you. One year I got to do the baseball clinic with you. I had a great hit and ran the bases. When I crossed home plate, I was so happy. I tipped my hat at you and you smiled at me. I definitely wasn’t there for every moment and big game you had but I would watch highlight videos in slow motion to study your technique. I read sports stories about you. I went to as many games as I could and always tried to sit near you in the outfield and yell for you during the game. One of my favorite moments was rooting for you at the Home Run Derby last summer. I left my summer camp in North Carolina for 36 hours to be able to go to the Home Run Derby. I was standing as close as I could to the left field. You were down 18-9 with a minute left. My heart was racing and I was stressed. You needed 10 home runs in that minute. I knew you could do it but I was still nervous. You did it! Everyone was shouting. I was so happy that you won the Home Run Derby. You were my favorite player and were playing in your home stadium. I was so lucky to be there for that moment. I will never forget it. A lot of articles have been written about how you are really disciplined about training and practice. Your dedication and focus is something that can inspire kids to work hard and always practice. In 2012, you were the youngest position player selected for the All-Star Game and you were the NL Rookie of the Year. Pitchers and teams sometimes are afraid you are going to have big hits to drive in runs or crushing home runs. They don’t always want to face you. In 2016, after being walked and hit by a pitch, you were the first MLB player to get on base 7 times without a single at-bat when the Nats lost to the Cubs 4-3 in 13 innings. That must have been really, really frustrating, but you stayed focused and you knew you had to do what it takes and what your team needs and not just what is most fun. That season alone, you were intentionally walked 20 times. In 7 years, you were intentionally walked 70 times! I remember being asked, “Who is someone you look up to? Who motivates you?” I would always say “Bryce Harper.” My teachers, camp counselors, coaches, family, and friends have always known that you have meant so much to me. I love baseball. There are a lot of chances in a game. Anything can happen at any time. There is strategy in each game and the season is really long. I love a lot of things about baseball. Since I started loving the game you have been my favorite player. I really wished you stayed in DC. Until Thursday afternoon, I believed you would stay. I know you picked the Phillies for a reason, specifically 330 million of them. Most of my friends are really upset and some are calling you a traitor. Other fans, like me, feel good for you and for baseball. I really want to see you play in Philly and I will definitely be at Nationals Park cheering for you when you play. For the city of DC, I bet most Nationals fans will miss going to Nationals games and cheering for you and trying to get your attention during the game. I even think some Nationals fans are going to miss people heckling you at the ballpark. Whenever someone asks if I am still going to root for you I say, “ That’s a clown question bro!” Good luck with the season… but I am just saying I hope that the Nationals win the division and the Phillies get the wildcard. And just like that, the rollercoaster of emotion known as 2018 MLB Free Agency has officially begun, with the Boston Red Sox being crowned world champions over the Los Angeles Dodgers. Some teams have gotten a head start with their offseason ; the Miami Marlins made a huge splash signing Cuban phenoms Victor Victor Mesa and Victor Mesa, Jr, two names that are sure to terrorize NL pitching for years to come. The Washington Nationals also made a trade in October, addressing one of their biggest needs by acquiring relief pitcher Kyle Barraclough from the aforementioned Marlins in exchange for international bonus pool money, which the Marlins used to sign the Mesa brothers, and taking a gamble by also signing menacing relief arm Trevor Rosenthal in free agency. But for the Nationals, more work needs to be done to make up for a disappointing 2018 season. The Nationals’ main job this offseason will be to try and lure free agent Bryce Harper back to the Nation’s Capital. Harper has been the face of this franchise since he was drafted first overall by the Nationals back in 2010, after he had graced the cover of an issue of Sports Illustrated magazine. 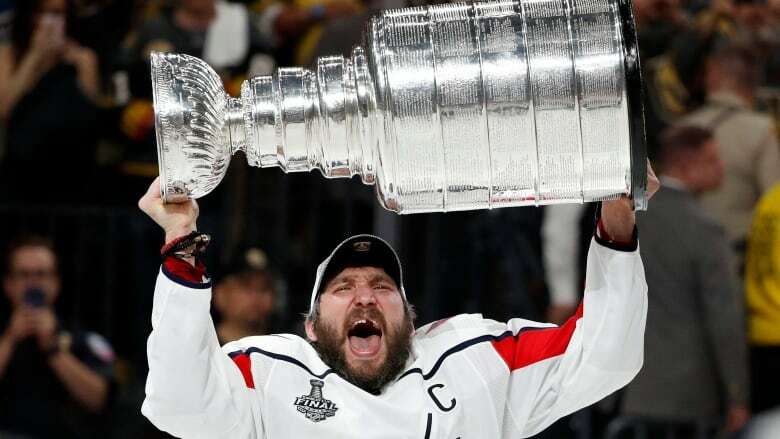 He burst out onto the scene in 2012, the same year in which the Nationals made it to the playoffs for the first time since the team moved from Montreal, and the first time the franchise had made the playoffs since 1981. He has since turned into a bonafide superstar, taking home the 2012 NL Rookie of the Year award and the 2015 NL MVP award. He now faces his first free agency experience, and will likely be greeted with hundreds of millions of dollars from the biggest market teams, like the Yankees, Cubs, Dodgers, Phillies, and Giants, along with Washington. So, Bryce, if you are reading this, let us tell you why staying right here, in Washington, D.C., is the best choice for your career. As Dorothy says in the Wizard Of Oz, there is no place like home. And even though you were born, spent your childhood years, and played high school and collegiate baseball on the other side of the country in Las Vegas, Nevada, you grew up in Washington D.C. Since you made your MLB debut in Los Angeles in April of 2012, Washington has been your home. You helped lift us out of a very rough time in Washington baseball history, when the Nats were consistently under .500 and had not made it to the playoffs in 30 years, the longest postseason drought in MLB history. The city of Washington, D.C. finally had a winning baseball team for the first time since the Great Depression. Also, no fan base is as loving, kind, and supportive as the one in Washington. If I were a baseball player, there is no way I’d leave this city for a city like Philadelphia, where fans greet opposing players and fans with batteries and beers, or New York, where, I mean, does New York really need an explanation? We Nats fans cherish the great moments you gave to our city. I remember watching the Nationals play the San Diego Padres on a wet May 14th day on my television, with my eyes lighting up the second that your bat made contact with Tim Stauffer’s pitch and watching it sail over the “402” sign in center field for your first big league home run. Who could forget the absolute dinger that you hit off of Carl Edwards in Game 2 against the Cubs to tie the game? And what about the 2018 Home Run Derby, when you won the whole thing (fair and square, pipe down Chicago) while wearing a DC flag headband, and you praised the fans at your home ballpark for giving you the extra motivation you needed to win the Home Run Derby. People wear your name on the back of their shirt all around the DMV. People have named pets after you. Your name is as synonymous to Washington D.C. sports as peanut butter is to jelly. But there has to be a time where we stop looking at the sentimental value of you coming back to play for the Nationals and look at the benefit that you bring to the baseball field. If you stay, the “Top Flight” outfield would be the best in all of baseball. Bryce, you had another great season for the Nationals this year, starting in the 2018 MLB All-Star Game and having an excellent second half. Your two fellow potential Opening Day outfielders in Washington, Juan Soto and Victor Robles, had breakout 2018 seasons. Soto is, in the opinion of many, the surefire NL Rookie of the Year, and Robles could vie for the award in the 2019 season. The three of you would compose the most energetic, lively, and sheerly talented outfields baseball has ever seen. And the truth is that this team is still very much in contention for a World Series. Your chances of winning in San Francisco or Philadelphia are significantly lower than they are in Washington. Plus, you have openly said that you want to play under Davey Martinez for the next 10 to 12 years. Mike Rizzo has said that Martinez isn’t going anywhere, so your opportunity to play under him is right here in the Nation’s Capital. If you join the Yankees, you create an incredible outfield with Aaron Judge and Giancarlo Stanton. But the Yankees have some real shotty starting pitching and have not been able to garner postseason success with the current core. The Cubs would reunite you with childhood buddy Kris Bryant, but the Cubs have a statistically worse rotation than the Nationals. You’d be a few hundred miles from Las Vegas on the Dodgers, but that’s a team with budgetary constraints and has intense media pressure, and, although this is blatantly hypocritical, hasn’t had so much postseason success with the core they sport today. If you were to become a Philadelphia Phillie, you’d be joining a real young team with a lack of showcase talent, and you’d also be entering the endless abyss of criticism that is Philadelphia sports fans. And the Giants don’t seem so intriguing, as a team on the decline. A team which checks all of your boxes to further your career success and to realize your ultimate goal of winning the World Series is the Washington Nationals. And although we will support you wherever you decide to take your career, we, collectively, as fans of the Washington Nationals, all encourage you to re sign with the Nationals.